2019 Elite Swim Camp Series (Stamford, CT) – This is an “Elite Camp” which means that each session is limited to no more than 36 participants. Sign up for individual sessions or ALL of them by clicking register now. 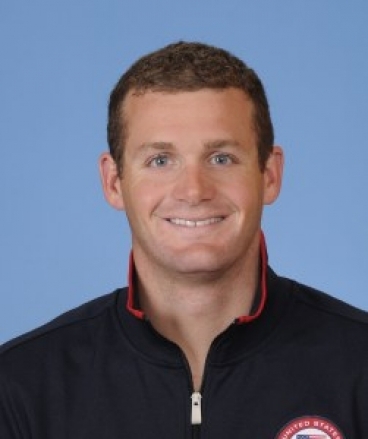 Your clinician for each session will be Elite Clinician and Olympic Gold medalist, Tyler Clary. Tyler is one of the most experienced and highly reviewed clinicians with Fitter and Faster. Scroll down for more details on the curriculum at each session. There will be two sessions for swimmers ages 12 & over and two sessions for swimmers ages 11 & under with at least one year of competitive experience. Swimmers younger than 9 years old are not recommended for these clinics without your coach’s recommendation. Often called the short axis strokes, butterfly and breaststroke have many common attributes in their technique. What these two strokes share most is the importance of rhythm and timing. Working on these two strokes together can deepen a swimmer's understanding of the technique required to swim with more efficiency and speed. Butterfly: Perfect the complexities of balancing power and fluid rhythm in one of the most dynamic athletic strokes. Elite butterfliers maintain forward momentum by setting an immediate high catch with a perfectly timed kick. Many swimmers, even at an elite level, struggle with the timing and technique of the breath so that they can maintain the proper body position even on the last 50 of a 200 fly! Work with Tyler Clary to improve your butterfly at these sessions. Breaststroke: Your swimmer will begin with a strong understanding of the timing of the kick and pull and begin to utilize the same strategies world class breaststrokers use to minimize their footprint in the water. Participants will learn the skills of swimming in a horizontal plane, keeping the hips high throughout the entire cycle, and utilizing a small but powerful kick while generating power forward with their recovery. Butterfly and breaststroke are all about rhythm and timing! The balance between distance per stroke and tempo in both of these strokes is delicate. It is very easy to rush through a cycle and throw off the technique. At these sessions, Olympic gold medalist Tyler Clary will work with participants to have the patience to keep their strokes long and then build their tempo throughout the race. Distance Per Stroke: Having long strokes in butterfly and breaststroke is extremely important. No matter what distance, swimmers should maintain maximum extension in order to get the most out of every stroke. Swimmers in this session will learn how they could take fewer strokes per lap and race faster through longer and stronger fly and breast strokes! Tempo: With both butterfly and breaststroke being so reliant on timing, many swimmers lose their efficiency as they increase their tempo! Learn what points of the stroke your swimmer should acclerate and which points your swimmer should be patient at each level of tempo. Pacing: Many swimmers simply fall apart at the end of their butterfly and breaststroke races due to fatigue. It is important for swimmers to build their tempo throughout the course of their race to keep their speed and technique at a high level. 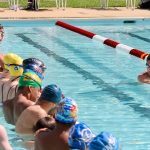 Participants at these sessions will learn tips and tricks to maintain their technique and race faster from the 50 to the 200 in fly and breast.